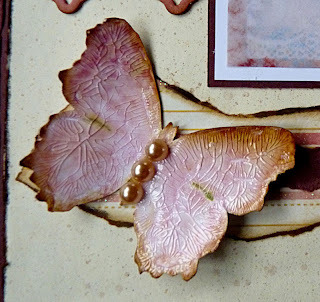 Hi, at Gingersnap Creations today the fabulous team would love to see your projects that include border punches. I do hope you will go over and see the amazing inspiration that the Gingers have created, it really is fabulous. 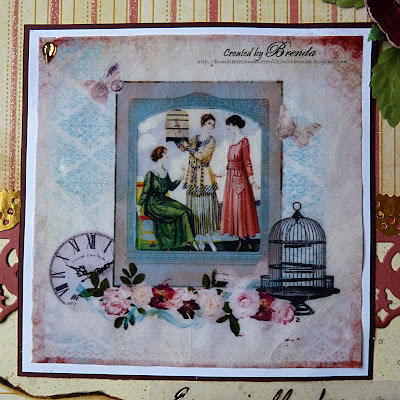 The main focal point of my 8in x 8in card is a digital image I created myself using downloads from various places. I printed it out on thin card and then covered it in embossing ink and heat embossed using clear EP. I left if to cool off completely and cracked it a bit by just bending the image slightly. Then I mounted it onto white and then deep burgundy card. 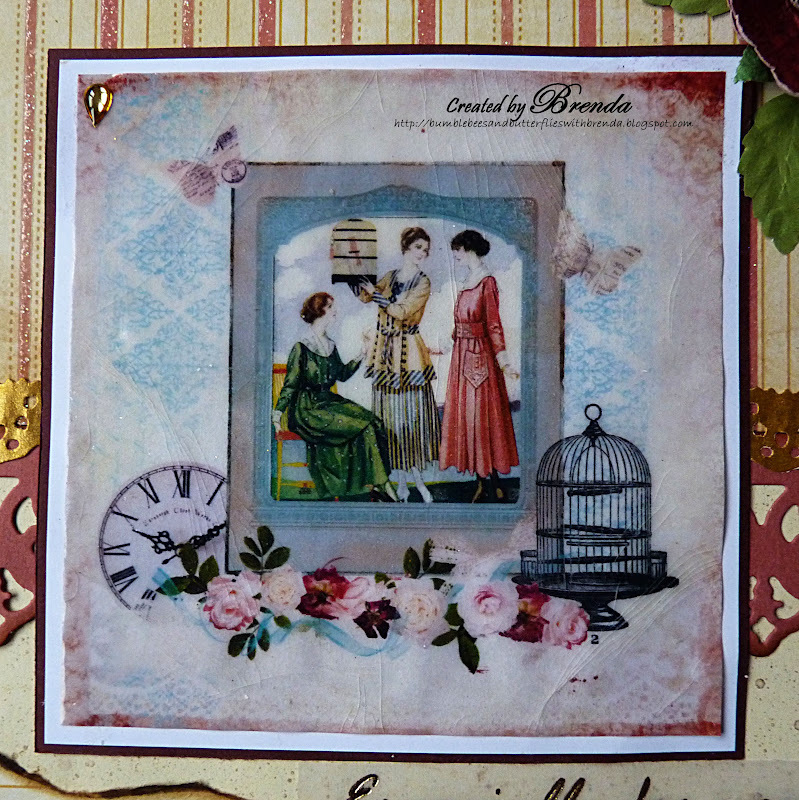 The rest of the design is made using DCVW striped card with some glitter in it, a spellbinders border and Tim Holtz vintage lace border. I made a vintage butterfly using an artemio stamp and covered it with crackle accents. A Prima rose, some leaves and pearls finish it off. Let's see your borders at Gingersnaps and enjoy the rest of your week. Wow look at that wonderful Butterfly, with all it's crackle, it is amazingly beautiful, what an inspiration this is. I am impressed with your digital collage as well, great work Brenda. 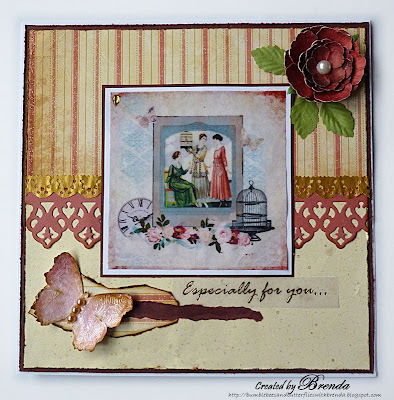 Brilliant, Brenda....love how you manage to give everything such a beautiful, vintage touch...I'm a big fan of your works! TOTALLY awesome as always Brenda - loving your little butterfly. Very pretty! I love the image you created. I wish I was better on the computer so I could do a few, so pretty. I absolutely love your embellishments too! Brenda this is adorable, i love the image clever you !! the setting is perfect and the butterfly is just stunning. How beautiful, Brenda! Love the card, especially what you've done with the butterfly. Your card looks wonderful, Brenda. Love the cracked butterfy. A stunning piece! Love the vintage look and how you put it all together!